Then, pay the $25 application fee. We will waive your application fee during College GO! Week or if you visit campus! Send your official secondary school transcripts, exam reports and diplomas, certified with original signatures and/or seals. Send a copy of your passport information page, including photo. If you’re a college transfer student, send your official post-secondary/university transcripts and exam reports certified with original signatures and/or seals. A letter of recommendation may be requested. March 1: Priority deadline for submitting the FAFSA. July 1: Deadline for submitting completed applications to be admitted for fall enrollment. Nov. 15: Deadline for submitting application. Dec. 1: Deadline for submitting completed applications (including supporting paperwork). If English is your second language, send your original/official or certified copy of TOEFL / IELTS exam report or have TOEFL / IELTS send an official report directly to Goshen College. The institutional code number of Goshen College is 1251. Canadian students are not required to submit SAT or ACT test scores for admission. TOEFL scores are required if English is not the applicant’s first language. Though not required, it is recommended that Canadian students submit SAT I scores with their application for admission. The SAT exam is given in locations around the world several times a year. Students may obtain details of when the exam is administered and how to apply by contacting the nearest American Embassy or Consulate. 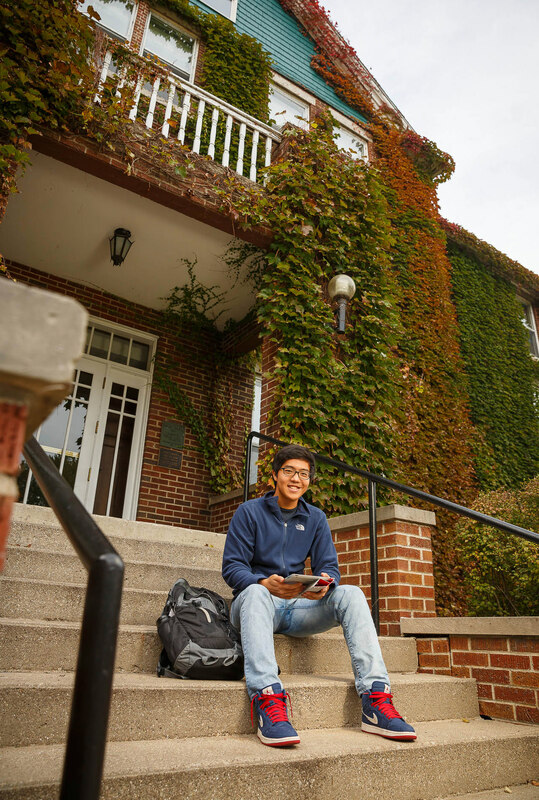 Students should start planning a year in advance of the time they plan to begin studies at Goshen College to take the SAT I exam and to prepare the other required documents for admission and financial aid consideration. SAT test scores may fulfill athletic eligibility so test scores are recommended for athletes. Students not meeting full admission standards are still encouraged to apply for admission. Goshen College takes a holistic approach to admission decisions and will consider the merit of each applicants’ academic record on an individual basis. Additional materials may be requested so that we can learn as much as we need to make our admission decision. Students with diagnosed learning disabilities, who are otherwise qualified for admission to Goshen College, must provide documentation of their specific learning differences to the director of the Academic Success Center in order to receive reasonable accommodation.